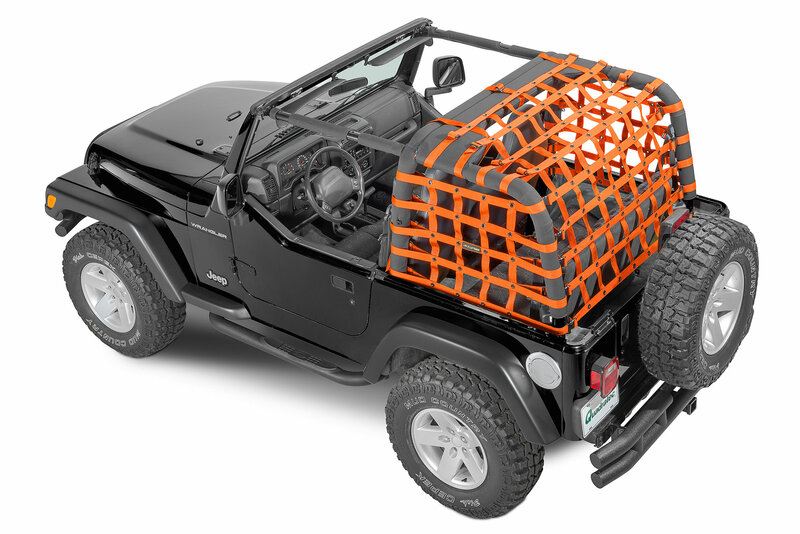 Dirtydog 4X4 Netting is an easy on and off durable heavy weight polypropylene webbing that does not need to be removed to install your hard or soft top. Designed to keep items from flying out while still allowing an open air ride. The Dirtydog 4X4 Rear Netting installs easily without the need for any additional brackets. The Rear Netting covers the rear cargo area and cargo sides and covers all gaps side to side and top to bottom to give you a clean symetrical look. The Rear Netting option can be be used on it's own or added to the other netting options. Constructed of 1.5 " heavy weight webbing with Re-enforced stitching and black anodized grommets. No special tools required for installation. Installing was straight forward. 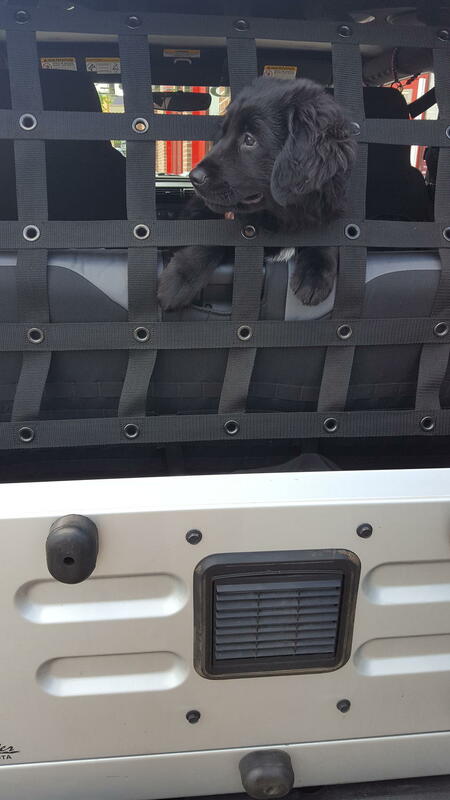 Keeps my puppy secure and safe during drives. Would be nice if he wouldn't stick his head out but he should grow out of that. Absolutely love my dirty dog web. I get a lot of compliments on this. Also the cover is able to stay on with the top cover boot. Great job! Attractive appearance, very easy install. the fit leaves a small gap between the net and the rear door which may be troublesome. The main drawback is that the netting is subject to chewing. Like most webbed leashes a dog can chew through the net fairly quickly.